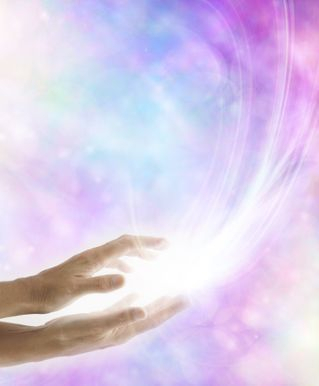 This therapy was developed through an integration of Light Being guided crystal healing and the connection with your personal Akashic Records to aid in opening and reconnecting you to the vibration of your Higher Self. Through the use of crystals your light body receives a high energy tune up that begins in the aura, allowing your chakras to be cleared and aligned. The removal of blockages, etheric cords, unwanted energies and thought forms, and soul fragment retrieval help clear the "clutter" from our awareness, balance, and peace. 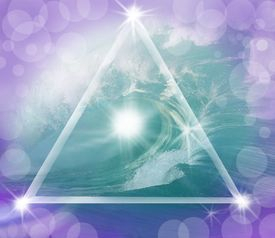 You are reconnected and realigned with your Akashic Records and Knowledge. This is followed by a Spiritual DNA activation, as well as alignment and activation of the main and transpersonal chakra system. This includes the major seven and minor chakras, as well as the transpersonal Soul Star, Earth Star, Solar, and Universal Grid chakras located off the physical body within the energy field. What is a Spiritual DNA Activation? Everything that we are is light encoded into our DNA including our multi-dimensional understanding. All of our past life/anscestral memories, spiritual knowledge of the Creator, connection with the Otherside, and Life Blue Print for this life are encoded into our very DNA. An activation is a process of attainment and acceleration of our spiritual path and consciousness, In a sense "snapping" us back on track, strengthening the immune system, bringing more balance, harmony, and an easing of our "karmic lessons" and opening us to the fullness of who we are beyond the 3rd dimension. Essentially we brought into our true Divine Alignment and centered Integrity of Our Being. We are opened to receiving and holding within our bodies greater frequencies of Our Light and Awareness. This Therapy is broken down into three parts. Each session is deeply focused on integration of the healing in the mind body spirit matrix. Realignment into Divine Integrity (Akashic Records clearing and decording of the energy field). Crystal Activation of the Transpersonal & Personal Chakra System. Sessions are usually 45 minutes to an hour and can be performed in person or at a distance with a written message report. Releasing Limiting Beliefs and Healing the Source of Dis-"ease"
Theta Healing, otherwise known as the Orion Technique, is a sacred, powerful and transformational healing tool. This healing system was founded by Vianna Stibal, a medical intuitive, whom was guided to use the technique to heal her body of cancer. There are four major frequencies in our brains, Beta, Alpha,Theta, and Delta. During deep meditation, hypnosis, and sleep our brains move into a dreamlike state while in the theta brain wave. In a healing session the theta state is reached during a state of concentrated meditation which allows deep levels of our subconscious and DNA to be reached facilitating us to connect to our unlimited potential, healing, and removal of blocks to wellness. 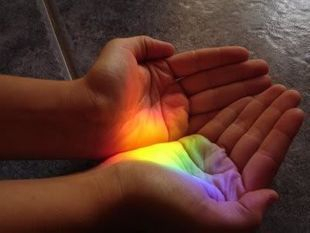 During the meditation process the practitioner connects to the Creator energy, the Source of All That Is while simultaneously connecting with the energy of person being healed through holding the palms of the hands. This allows the practitioner to work on a subconscious theta brain wave level where the belief is stored in the subconscious. These beliefs can be held on a inherited genetic level, from past lives, childhood, soul, core, trauma, and even on a transpersonal level. The practitioner is simply the witness of the healing process as beliefs are reprogrammed that may be limiting the healing process. It facilitates the removal of beliefs that are at the core of limiting health issues, addictions, emotional, mental, and spiritual well being by connecting with the Creator. It's different from the traditional "hands on" healing as does not involve laying of hands and it is much more interactive. Many people report feeling the healing happening within as it is occurring. This allows the release of all that no longer resonates with our higher soul purpose so we may experience our highest potential and healing on many levels in life. Please Inquire About Certification for Level I through Mastery.